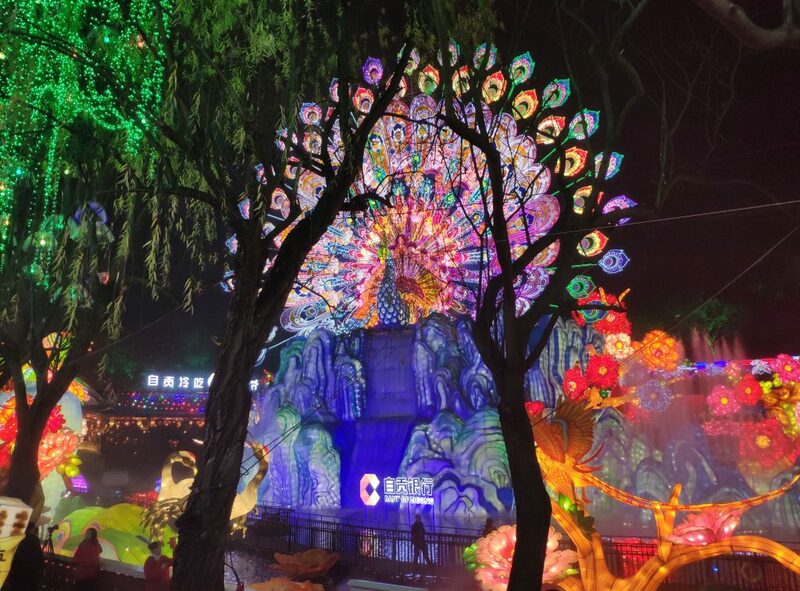 On March 21, 2019, the Zigong Lantern Festival closed perfectly. With the theme of “Zigong Lantern and Glory World” as its slogan, Zigong Lantern is actively exploring the Zigong Lantern and building a national base with the goal of “building a national cultural export base”. 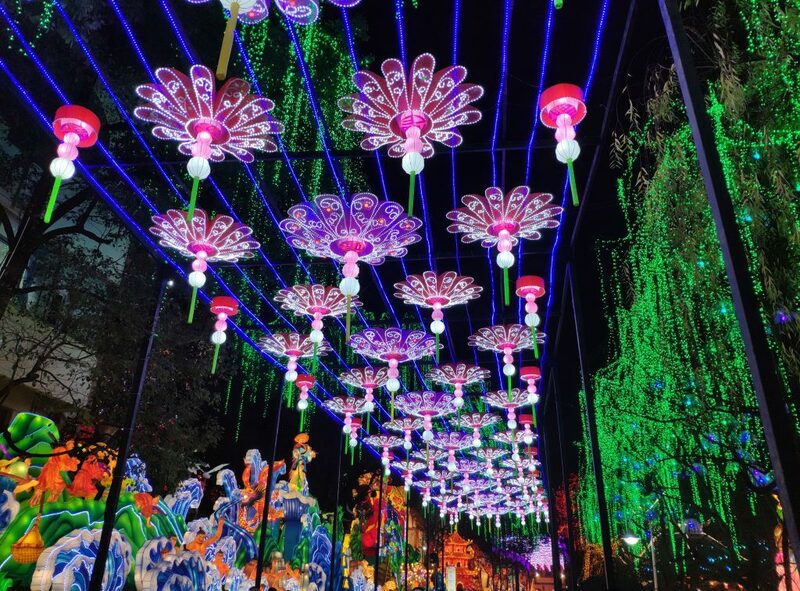 Methods and measures, theory and practice, planning and practice, festivals and industry competitions, cultural tourism and urban development, to create a Chinese lantern culture brand, this year’s Zigong Lantern Festival has also reached the expectations of the people. This water lantern is a large lamp set made on a lake. The large light groups on the lake every year are different themes, and this year’s theme comes from Chinese fairy tales. This animal lantern is the Phoenix in the Chinese fairy tale, which represents the auspicious luck. This large silk lantern is designed and made by us. It was placed in the middle of the square at the gate of the lantern festvial. The Lantern Festival in China is an important festival of the Han nationality. 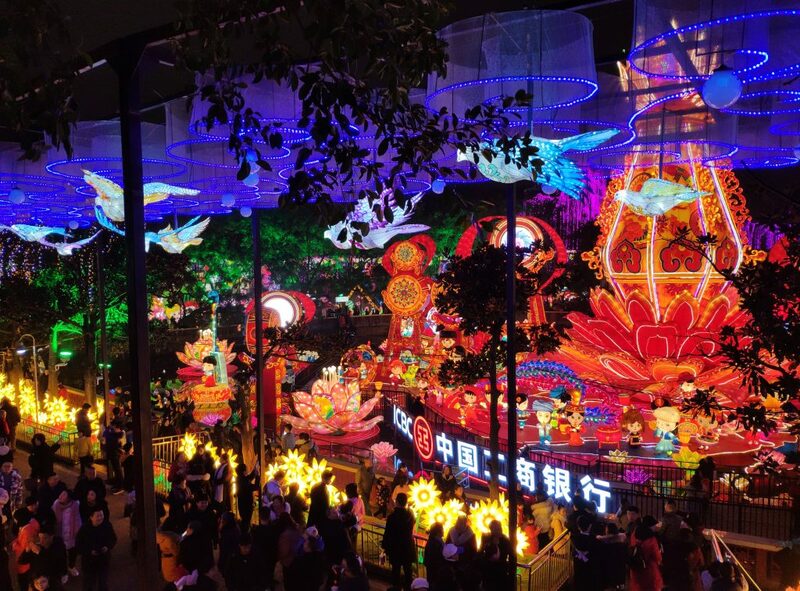 The Lantern Festival and Lantern Festival, which was born by the Lantern Festival, is a major annual event in China where the Han people live. 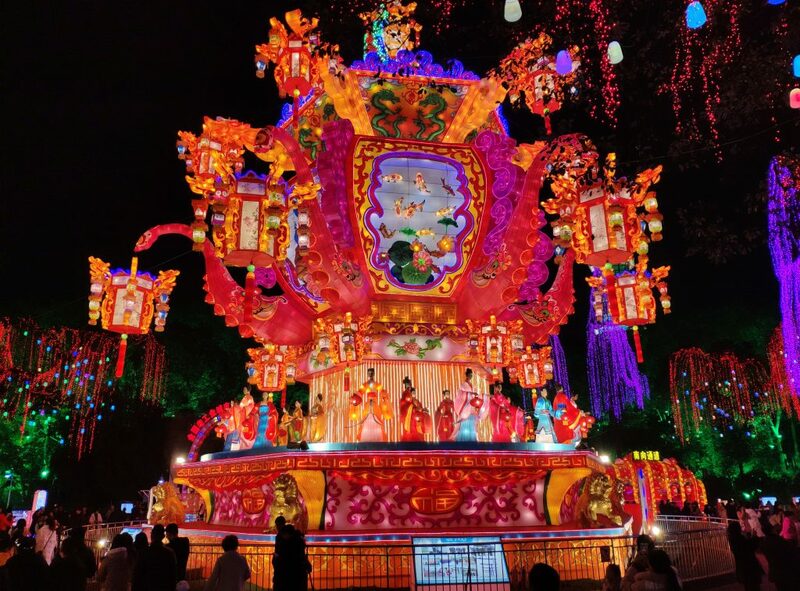 The Lantern Festival and Festival of Lights are both a major part of the Chinese lantern culture and an important part of the Chinese New Year culture. 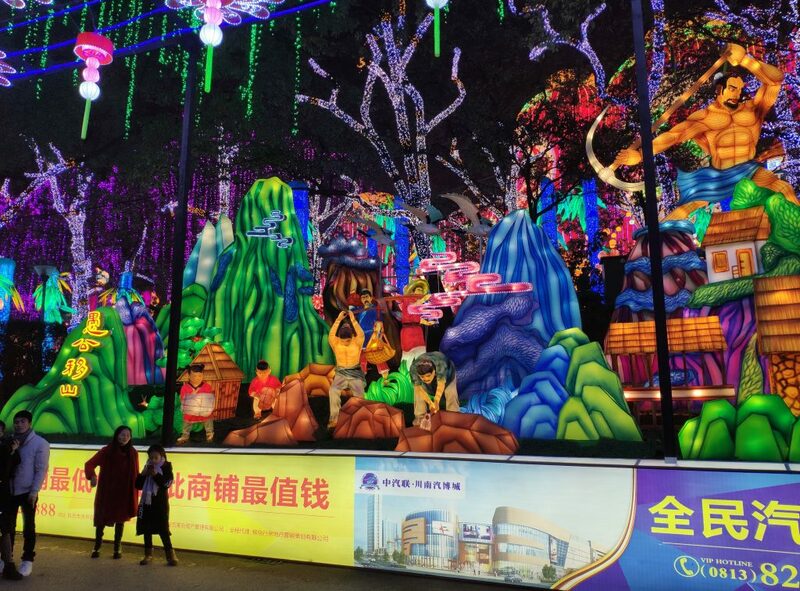 Now, as the main sponsor of the Zigong Lantern Festival, Ocean Art is your best choice of lantern manufacturers. The footprint covers more than 500 large and medium-sized cities in China and more than 40 countries on four continents. Professional technology, suitable price, and humanized after-sales are the working concepts that Ocean Art has always pursued.